After seeing his side stutter to an opening day stalemate at Everton, Mauricio Pochettino tinkered with Spurs’ attack for the weekend win over Crystal Palace. With Dele Alli (£8.4million) only fit enough for the bench as a result of a midweek illness, the Argentinan handed new signing Vincent Janssen (£8.0m) a first start of the season as Harry Kane (£11.0m) dropped into the central support role in a 4-2-3-1 formation. Signed from AZ Alkmaar after 27 goals and four assists in the Eredivisie in the previous campaign, Janssen has looked promising in his first two Premier League outings. Although he failed to score on Saturday, the Dutchman bettered Kane for shots inside the box (three to two) and attempts on target (two to one) against Alan Pardew’s Palace side. 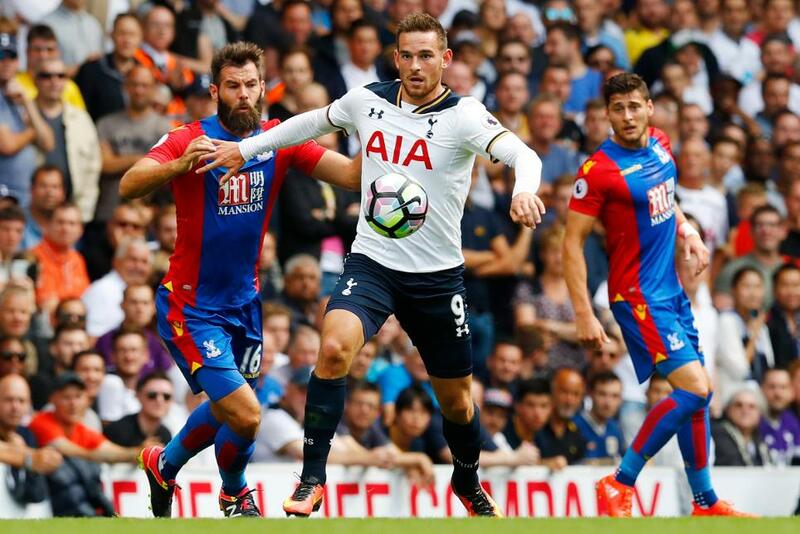 So far this season, Janssen’s average of 22.3 minutes per shot is quicker than Kane’s 30.7. A shot accuracy rate of 50% is more impressive than his fellow striker’s 16.7% in the opening pair of matches. 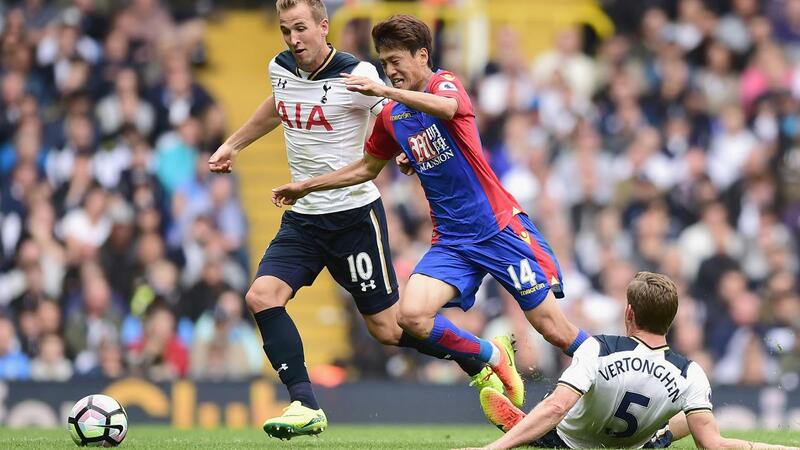 Despite his more withdrawn role, Kane – who failed to register a single attempt at Goodison Park in Gameweek 1 – attempted six shots on the Palace goal, with two arriving inside the box. Nonetheless, when compared to his 2015/16 numbers, which helped him clinch the Golden Boot with 25 goals, Kane has started the season slowly. The Spurs frontman produced 106 attempts inside the box last term, more than any player, managing 2.8 close-range efforts per appearance. By contrast, he has averaged one shot in the opposition area thus far as he adjusts to playing with Janssen. Alli was eventually afforded a run-out as a second-half substitute on Saturday. The youngster has managed an effort every 61 minutes so far, far slower than his average of 34.6 minutes in 2015/16. Elsewhere in midfield, Pochettino may need to re-think his decision to switch Christian Eriksen (£8.5m) and Erik Lamela (£7.1m) on the flanks last weekend. Both players mustered just one attempt on goal against Palace, compared to three shots apiece away to Everton. Eriksen’s opening displays look particularly worrying for his FPL owners - the Dane is currently found in 10% of squads. Yet to produce a single shot from inside the box, Eriksen has registered just three key passes so far. An average of 54 minutes per chance created is down significantly from 2015/16, where he teed up a team-mate every 26.9 minutes and finished third for chances created, with 114. As a result, last season's ICT Index average of 9.8 has dropped to 5.0. Although his goal threat was limited at the weekend, Lamela registered five key passes at home to Palace, more than any player in the Gameweek. Drafted in by more than 34,000 FPL managers this week, the Argentina international, who netted the leveller against Everton, has produced more shots in the box and chances created than any midfield team-mate. With UEFA Champions League duties on the horizon, Janssen’s encouraging first couple of displays indicate that Pochettino now has more strength in depth to deal with a busy upcoming schedule. Nonetheless, FPL managers will be hoping Pochettino's teamsheets are a bit more consistent as we look for secure options in an attack that produced more attempts on goal than any other side in 2015/16.